Let me start off by saying…what a freaking week. As of Sunday I’ve put us on lockdown. No one leaves the house (besides taking the dog out) until at least Friday. Let me catch you up a little. Last Tuesday we left Eureka Springs and drove to Oklahoma. Nothing crazy…arrived around 5:30 and had dinner with the family. Wednesday I got my hair trimmed and saw the mother-in-law. Thursday was Atticus’ birthday!!! Didn’t do anything super crazy…had lunch with Jeremys cousins, opened some presents, visited with some friends, had birthday cake after dinner with family. Friday…We had Atticus a birthday party. It was great. A few of his friends came…they screamed and ran around like crazy…everyone had cake and ice cream…opened presents…more screaming and running…took Marley back home…and went to the big town of Minco Oklahoma to stay with my grandma. Talk about EXHAUSTING. We grabbed dinner on the way to Minco…ate…went to bed. Saturday around 4 am, I couldn’t sleep. I moved to the couch. 5 am….I’m SICK! I don’t remember being so sick. 7 am…here comes Atticus, who is also not feeling well. Needless to say, Saturday was horrible. I felt like death. (Ok…maybe I’m being a little dramatic) Sunday we drove home. Monday was our day of rest. We spent every single minute in bed. It is now Tuesday and I feel better. A lot better. Atticus is feeling a little better. Hasn’t ran a temp over 100 today. He is still sluggish. I wish so badly he will wake up tomorrow morning and feel 100% better. Thankfully Jeremy and Bonus have felt great. I pray that no one else gets sick. 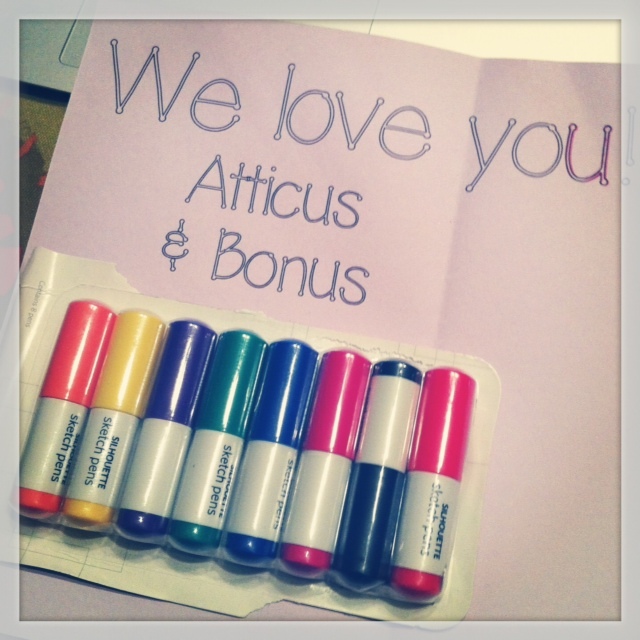 Today I lysoled anything that I thought Atticus may have touched. Lysol is a mothers best friend. 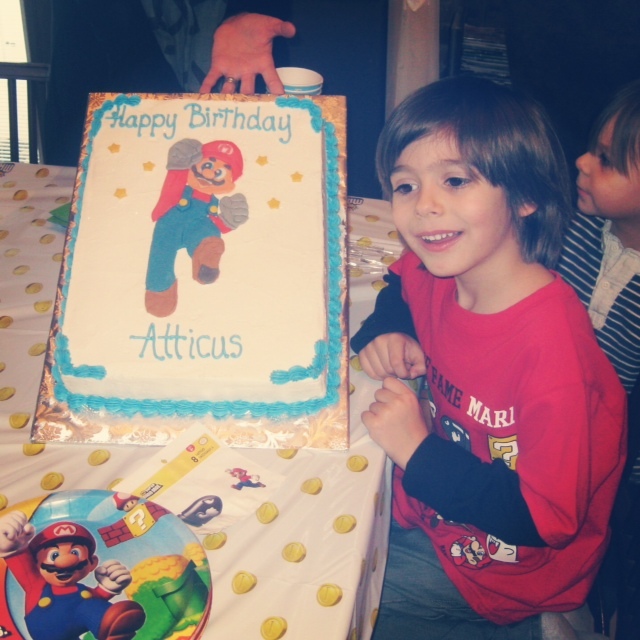 Here’s a picture of Atticus with his Mario cake! He had a great birthday with his friends. Today is the first day in a week…yes a week…i’ve been able to make anything. 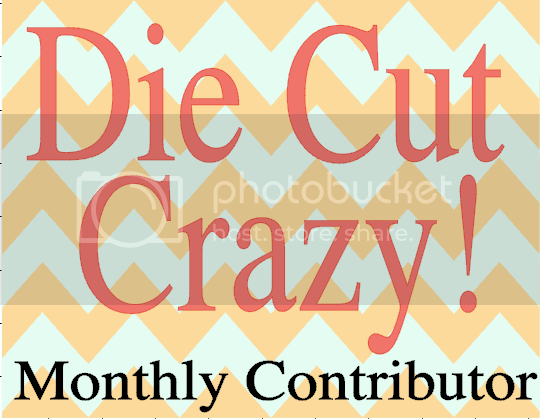 I haven’t used my die cut machine in a week. (I cannot believe it.) 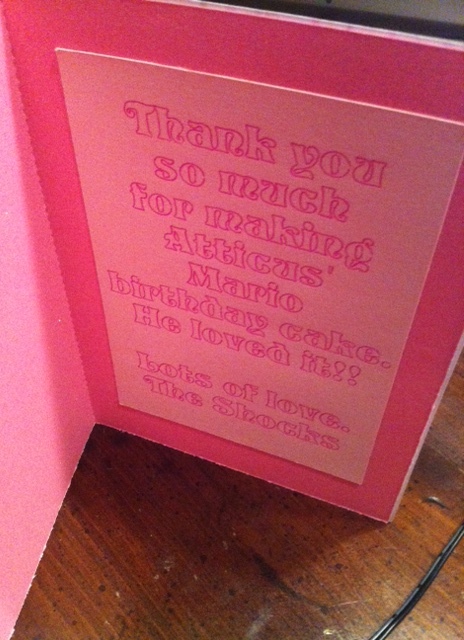 I decided to make a card for the wonderful lady who made Atticus his birthday cake. This card gave me nothing but trouble and I feel like it came out looking like a big Easter egg, but it serves its purpose. Sorry, for my negative ranting…I will offset it with something positive…I have been using Silhouettes brand of glitter and love it. I received the glitter and double-sided adhesive paper with my Cameo bundle. I was pleasantly surprised how well it worked. A little bit of glitter goes a long way. 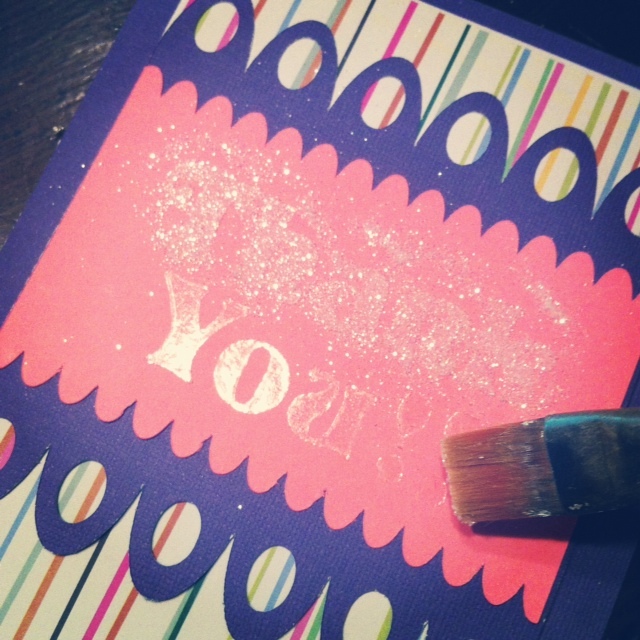 My new motto: When in doubt…use glitter. Are you seeing the easter egg reference here? I love these colors together, but there is something about it that is just not working for me. Heck…maybe it’s the shape of the ovals I cut out in the purple layer…or maybe I’ve just been looking at it for too long. Anyhoodles…I love the glitter. For the inside, I cut some pink card stock and sprayed it with my Krylon glitter spray. (That is another favorite item I’ve grown to love.) I will have to pick up an extra can of that when I go back to Hobby Lobby. 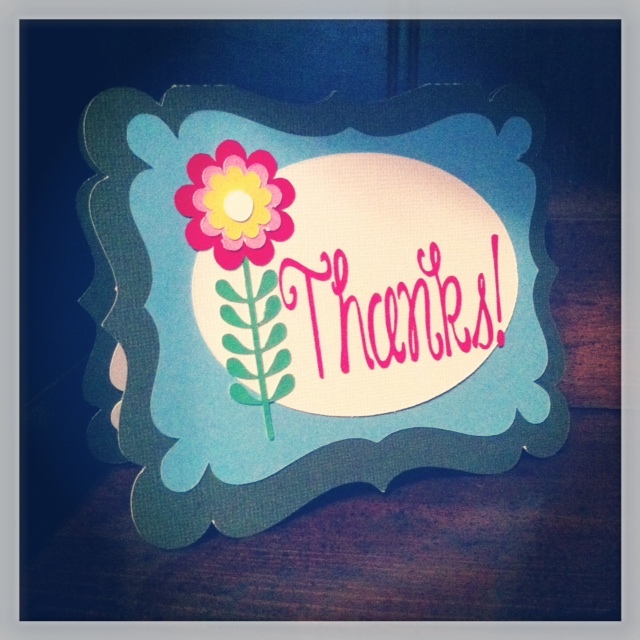 I used my Silhouette sketch pens to write in my “thank you” and I was finished. Even though this card was simple, it took me way to long to make. It was nice to sit down at the table and create something again. It has been the only time since Saturday where I’ve felt a little bit of peace…and I am grateful for that. Before I go, I want to give my husband Jeremy a shout out!! Thank you so much for taking care of Atticus and me while we’ve been sick. You are the best husband I could have ever imagined having. I love you. Thanks for reading everyone! See ya next time. My son Atticus Beeker will be 5 on the 21st. I can’t believe it. Where has the time gone? If you are wondering…his middle name is Beeker…like the muppet, but spelled differently! 🙂 It’s hard to believe how fast he is growing up. It seems like yesterday he was just a little baby. 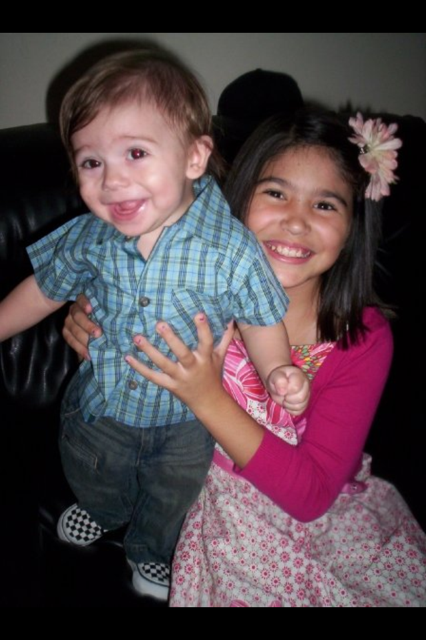 Here’s a picture of Marley and Atticus when he was little. How cute is he?? I just love him so much. We’re having a Super Mario Bros. birthday party. He loves anything and everything Mario Brothers. This last Halloween Atticus was Mario and his brother Bonus was Luigi. It was the most adorable thing to see them dressed up together. They have a lot of fun as best friends/brothers. 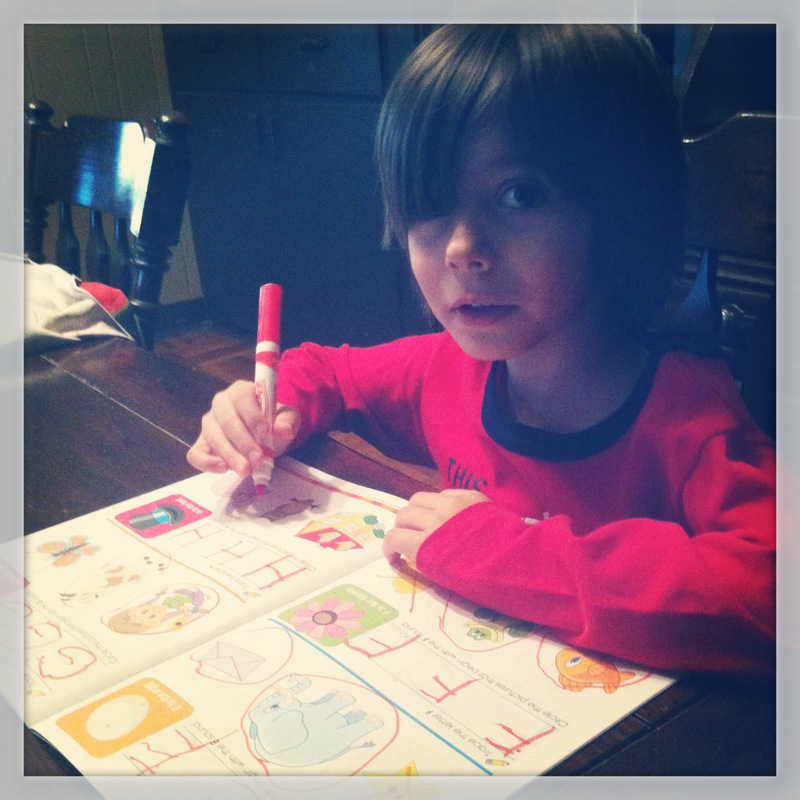 Here’s a recent picture of Atticus doing some school work last week. He is a handsome little boy. Makes my heart happy to be his momma. We’re off to Oklahoma this week to see some family and friends for his birthday. He wanted some of his friends to be at his birthday party, so instead of them driving to Arkansas we figured we’d make it easy for everyone and come to them. With summer coming up this will probably be the last trip we make to Oklahoma for a while. Eureka Springs is a tourist town, so lots of people come see us in the spring and summer! Jeremy’s mom is already planning a trip for the first weekend of March. We are looking forward to spring, warmer weather, visitors, and parades…lots of parades!! *Back to our trip to Oklahoma. I received an email from a friend last night. Her daughter’s birthday party is Saturday and she was in desperate need of a few paper chandeliers to hang from some ceiling fans. As soon as I read the email, everything I needed to do before leaving for Oklahoma flashed in my mind. I just didn’t have the time!! Truth is I actually have plenty of time…how long could it really take to whip up some chandeliers?! Well…it did take me some time, but not as long as I imagined. I am so glad I did it for her. I really love how they turned out and it makes me happy to know I could help her out at the last-minute. 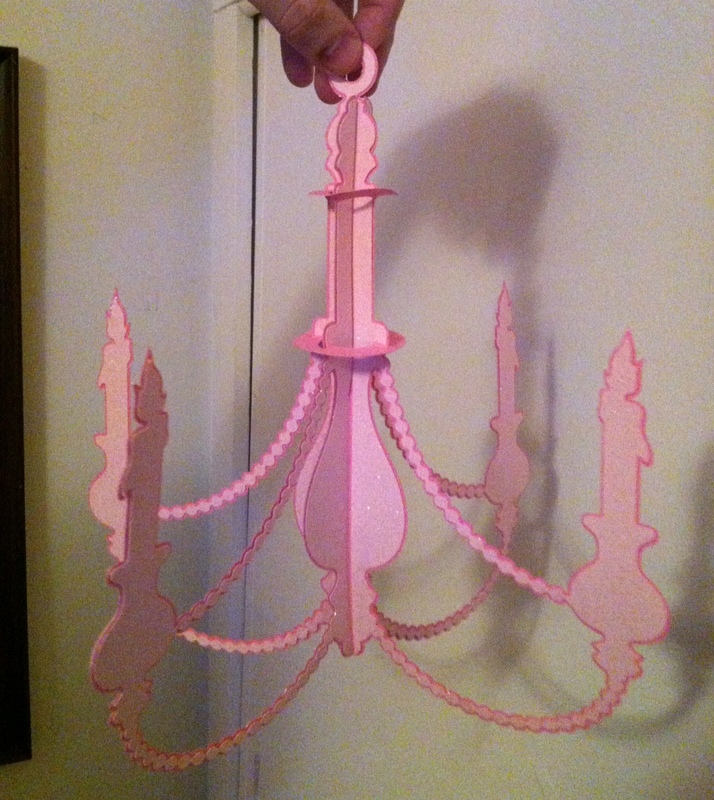 She needed 2 chandeliers…Here’s a picture of one. It’s 11×11. You can’t really tell from this picture, but I used a Krylon Glitter spray and it has a nice sparkle all over it. It turned out so cute!! I got this design from the Silhouette online store. It’s a design by Samantha Walker. I did an internal offset to get the layered effect. It just looked so much better with the contrasting colors. I finished it just in time to get everything packed and ready for our road trip! I’m meeting her Wednesday and she mentioned gluing a few rhinestones on them before the party. I think they’ll be the talk of the party. (besides the birthday girl!) This is a great project for any little princess! I had a lot of fun doing it and look forward to using the image again. Heck…my birthday is in a few weeks…maybe i’ll make some and throw them all around the house. 😉 It seems like I’m being swarmed with birthdays the last few days. I have made so many birthday cards lately and have a list of six more I need to do when we get home from our trip. 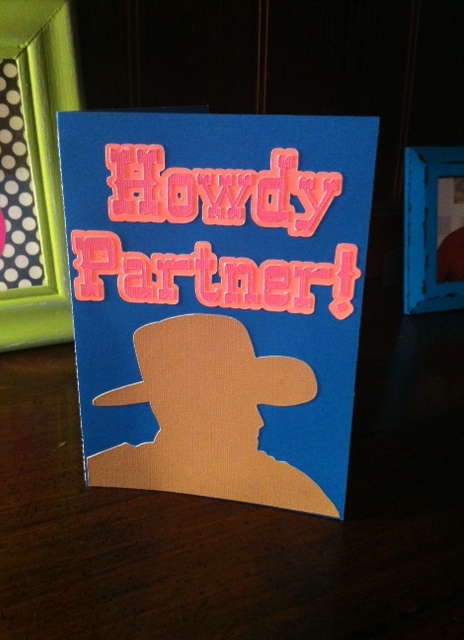 I guess I can’t complain…I could go buy some cards at Wal-Mart, but I sure do love to make my own!! I better get some sleep. Thanks for reading guys! Talk to you soon. Hi everyone! I ordered some of the Silhouette Sketch Pens for my Cameo. If you have a Cameo these are a must get! I love them. They work so much better than I expected them too. For a pack of 8 they are $9.99. Rumor has it they are coming out with a 24 pack for $20. Correction: They are now available!! I would buy a 24 pack in a heart beat. I better order some stat! 😉 I have a feeling I will use these for every card. These really are a lot of fun to play around with. The boys think they are really cool. 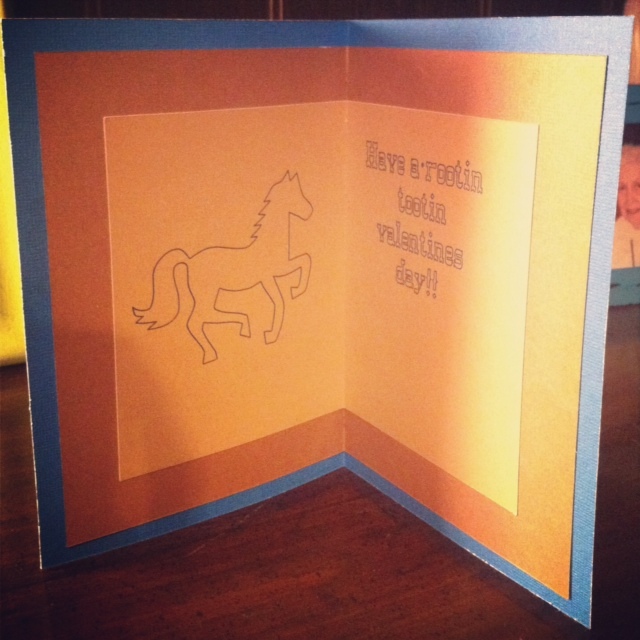 I was asked to make a Valentines Day card for one of our friends today. This is what I came up with. Cowboy silhouette and horse are both images from the silhouette online store. Hope you all have a rootin tootin valentines day too! Hi friends…I hope you all had a great weekend. We had family in town for a few days and had a great time! Jeremy’s Uncle Joe and Aunt Cyllene arrived in Eureka Springs around 6:00 o’clock Friday evening. They haven’t been to Eureka since we moved here, so it was nice for them to visit and get to see the house and our life in Eureka Springs. They brought us a dining room table and china hutch all the way from Oklahoma! They recently bought a house and their table was a little big for the space, so we were blessed with it!! We absolutely love it!! 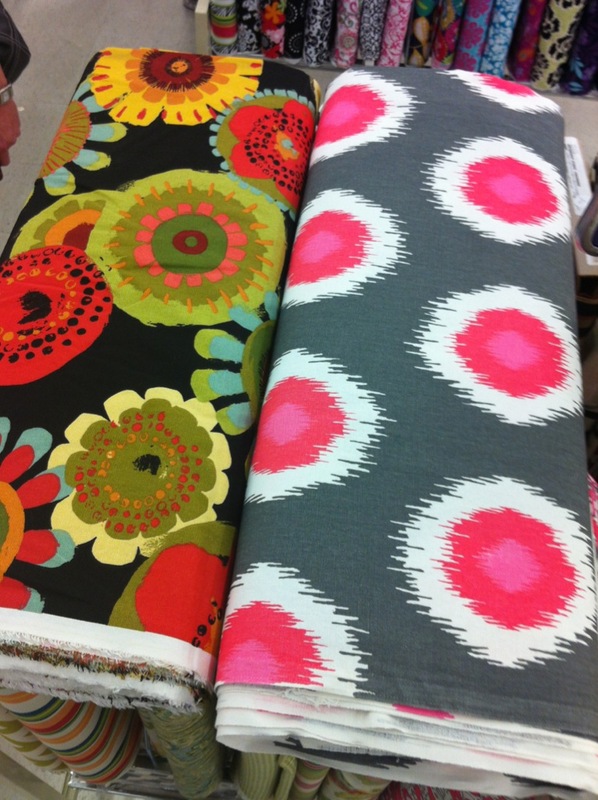 I bought some fabric today to make some new table cloths for it. I think it will really brighten up the room. I really liked the colors in both of these and couldn’t choose just one! Me and my friend Cindy had a little girls day out today. We spent the day running around from store to store. Didn’t buy much…just did a lot of looking around. We had a great day and both needed some time away with a friend. Back to the table…did I mention I love it? It is so long! That’s great for a lot of things, but what I am thinking is CRAFTS! I have so much room!! It is great for sewing…paper crafts….the wood signs. (I don’t have my own craft room just yet!) I just have so much room to spread everything out. I don’t feel like everything’s piled up on top of each other anymore. Not to mention, it’s just way better to look at than the other one we had! I made a few cards yesterday and sewed my table cloths tonight. I have been so busy lately. It’s nice to just sit here and type a few words for my blog and relax. I’m ready for spring to get here. I want to see some flowers outside. Feel the warmth of the sun again. I’m going to make some spring cards or something. Maybe spring will get here faster that way?! 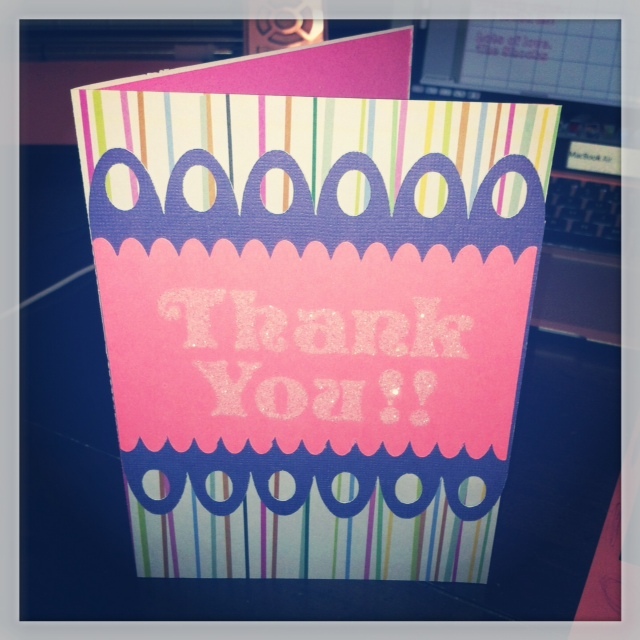 Here’s a card I made last night to show my thanks for the table. I hope Aunt Cyllene likes it. She really liked the wood plaque I made them with the birds from my previous post. She hung it by her front door when they arrived back home and sent me a picture saying thank you and she loved it. I love making things for people. 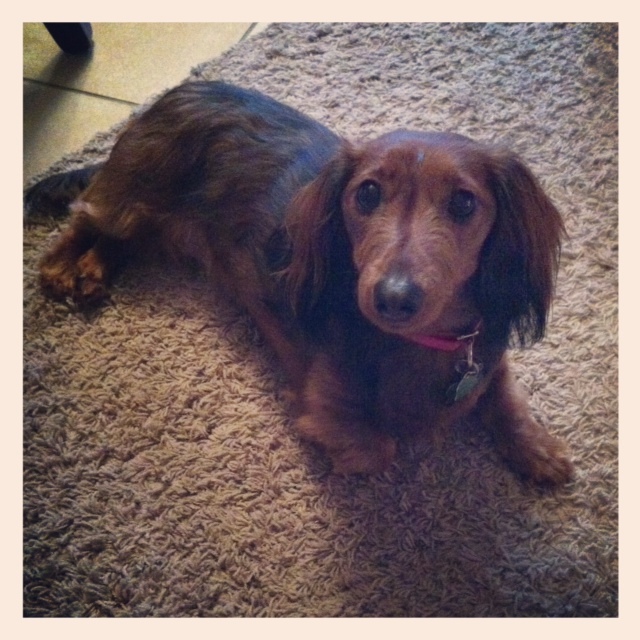 This is random…Have you met my dog Lucy yet? She is the sweetest dog you’ll ever meet…and I can almost promise that. I love this dog more than I thought I could ever love an animal. I’m going to leave you with a picture of her. I hope you love her as much as I do. Enjoy the rest of your week friends, I’ll see you in a few days!